According to a survey carried out by the Construction Industry Federation, 23% of companies named cost as a barrier to hiring apprentices, with 22% citing the duration of an apprenticeship as a problem. 55% of companies said lack of supports were a barrier to them taking on an apprentice. CIF Director General, Tom Parlon, said: “There is a definite interest and need for companies to take on apprentices. The construction industry has been and will continue to be the sector with the most apprentices, accounting for nearly 80% of all apprentices. The good news is that we are seeing increases in many construction-related apprentices, showing that the model does work. Overall, apprentices are up 37% from last year albeit from an historically low base. “However, there are a number of trades such as plastering, floor and wall tiling and joinery that are still yet to recover. These trades are most important in residential and house building and we need to urgently address these shortfalls. Our survey found that SME construction companies, recovering from the downturn, are unable to absorb the cost of taking on apprentices in the numbers the industry requires to sustain itself. Small changes to the model in some areas can make it viable for companies to take on apprentices again. “SMEs can’t afford to take an apprentice plasterer on for four years. During this time, the block release system means that the apprentice is unavailable for 6 months of the year. This apprentice must be paid, and a replacement hired. Allowing day release and altering the sequence of off-the-job apprenticeship phases could really help here. 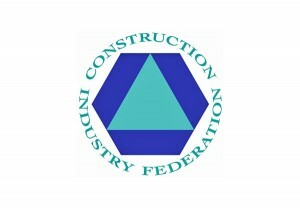 The CSO has reported that construction employment is now around 145,000. Since the nadir of 2013, the construction industry has been hiring an additional 1000 people per month. In 2018, that number increased to 1500 per month. However, industry apprenticeship numbers in some trades failed to record significant improvements and declined in some important subsectors, such as the wet-trades – bricklaying, plastering, painting and decorating and tiling. Director of Safety and Training, CIF Dermot Carey, said: “Apprentices are essential to the development of a modern construction industry. Around 2006, we had over 25,000 apprentices in the industry and an annual registration of 8,306. In 2016, DKM, SOLAS and CIF identified demand for 3,840 new apprentice registrations annually. Today, we only have around 3,000 new registrations so this number needs to grow particularly in skills areas relating to housing. “If the construction industry continues to grow as forecast, a lack of apprentices will have a long-term impact on our ability to grow. It will put upward pressure on wages across the industry and ultimately, it is possible that some trades will be left with a void of homegrown talent. In 2018, Dublin Institute of technology (Now TU Dublin) published its TRADES & APPRENTICESHIPS SKILLS SURVEY. This highlighted the shortage of apprentices in Irish construction and proposed recommendations on how the apprentice model can be modified to make it more accessible for employers. It recommended that companies taking on apprentices in critical areas should have a zero-rate employers’ PRSI contributions. It also recommended the introduction of a trainee grant for a limited time to support SME companies taking on apprentices.